So you want to write your web pages – and you want to make sure you get them right? Or maybe you’ve already written your web pages – but now you want to make them better? Here I share with you 7 copywriting tips that’ll help your web pages pack a pretty powerful punch. 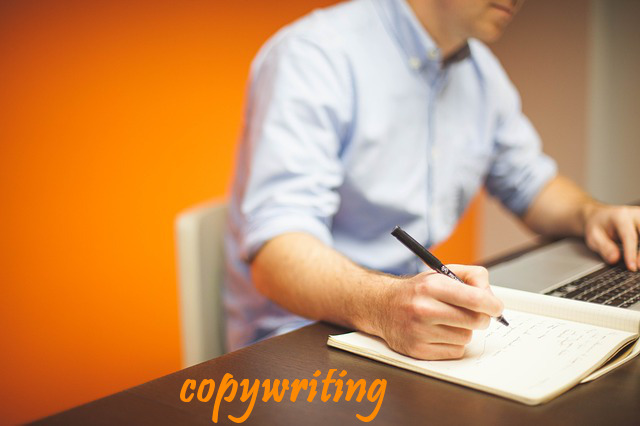 You see, there’s an easy way to approach copywriting for your website. With some basics, that if you implement, will take your web pages from ordinary to a cut well above the rest! If you’re thinking “but I’m not a good writer” – stop. You can get there! But with these tips, you don’t even need to be a good writer. If you follow all 7 tips, you’ll have already improved your writing (and your web pages) out of sight. How good is that?! Writing for the web requires a different approach to writing for print. For one thing, we have less patience on the web. We’re quickly searching, trying to find answers or solutions. We skim, we scan. We make lightning-fast judgements about a web page. So yes, you guessed it. It’s pretty jolly important to write appropriately for the web (as you’d try to write appropriately for any medium). Knowing your audience is critical, for two key reasons. For instance, you’re going to write in vastly different ways if your audience is high school students versus octogenarians. Think about it. Don’t use words your audience won’t understand or would never use in a million years. Not only is it critical that you sell the benefits (see point 4), but you have to sell the benefits that actually matter to your audience. There’s no point trying to sell your audience on the benefit of saving time if all they care about is looking good to their friends. So now you know your audience, you know who you’re speaking to. But here’s the thing. It’s not specific enough. I want you to pick just ONE person (your DREAMIEST OF DREAM clients) – and write to only that person. I know, I know. Having a laser-like focus on just one person is scary. What if you alienate some potential clients? This is a fear so many people have about niching. But by writing to one person, you’re going to call to your dream client(s). This is because each person (in the right target) will feel like you’re writing only for them. There’s no easy way to discover your natural writing voice, I’m afraid. This takes practice, practice, practice. And some more practice. Just keep writing, and you will get better and better at it. So why do you want to write in your natural voice and show your personality? Because you want to make a connection with your audience. And a key way for you to build that know, like, and trust factor – is to SHOW your audience who you are through your writing. If they can get a strong sense for the kind of person you are, based on your writing tone and word choice, then you’ve gone a long way towards getting them to KNOW you and LIKE you. And hey, TRUST could be built here too. When your audience can see you’re showing your true personality in your writing, they might be inclined to trust you more (because you’re showing the REAL you – you’re not trying to show a perfect or contrived version of you). You may have heard this copywriting mantra before: Sell the benefits, not the features. Quite simply, you need to show your clients WHAT they will get (the result or outcome of using your service). How will your client’s life be BETTER, RICHER, or HAPPIER? What can your client DO, BE, or HAVE? You sell the benefits and support with features (features are what the product does or has). Let’s say you’ve done all the above things when writing your web page – so you know it’s kickass (aka it’s well written, with a laser focus on your audience). Wouldn’t it be an awful shame not having anyone stick around long enough to read your brilliantly written page? If you’ve followed all of the above tips, then there’s a good chance that people are leaving your site in droves because your formatting overwhelms them. I’m going to say that again because it’s important: Your web page formatting could be overwhelming your site visitors.